Qantas is returning to Bali with scheduled services for the first time in seven years with seasonal flights from Sydney during the upcoming summer holidays. The airline said on Thursday it will operate a total of 33 flights between Sydney and Bali from December 4 2015 to January 29 2016 with Boeing 737-800s. Qantas is joining an already crowded Bali market, with four carriers currently offering flights on the Sydney-Bali route – its wholly-owned low-cost unit Jetstar, local rival Virgin Australia, Garuda Indonesia and Indonesia AirAsia X (which begins services in October). While Virgin also uses a 737-800, Jetstar (787-8), Garuda and Indonesia AirAsia X (A330s) deploy widebodies on the route. Qantas’s flights will operate on Tuesdays, Wednesdays, Fridays and Sundays as an early evening departure from Sydney and an overnight service from Bali. Qantas’s 737s have either 174 seats (12 business, 162 economy), or 168 seats (12 business, 156 economy) depending on configuration. “We know how attractive Bali is as a holiday destination, so through efficient use of our aircraft, we’ve unlocked more domestic B737 flying time, delivering on our strategy to offer a dynamic and flexible network,” Qantas International chief executive Gareth Evans said in a statement. Qantas already flies from Sydney to Jakarta with Airbus A330s. The return to Bali continues Qantas’s recent expansion into leisure destinations that are also served by its low-cost unit Jetstar, including adding Melbourne-Gold Coast (already a Jetstar route) and returning to Marrochydore. 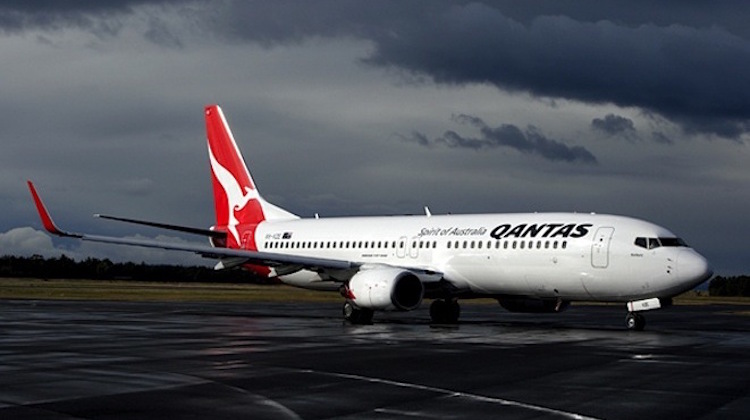 A Qantas spokesperson told Australian Aviation the airline ceased flights to Bali in October 2008, when it handed the Perth-Bali route over to Jetstar, while the last scheduled Sydney-Bali service took place in December 2006. Meanwhile, Qantas said it would again operate services to Vancouver during the 2016 Australian winter, with three flights a week between June and August 2016 to be operated by Boeing 747-400s. Monkey see….monkey do. VA does…QF do. Remarkable for Qantas the airline is doing everything right, so much increased utilisation of their fleet has brought them so much new routes lately without the high costs of buying new aircraft. Although thet have recently ordered the 787 and they will cost the company in the future, what they are doing today is a really fantastic. Its good to see Qantas has got its mo-jo back. Qantas should adopt the seasonal routes to Europe with seasonal flight to rome and regular flights using the 787 or 747 400 to frankfurt.